But, indeed, the beginning of the college football season is exactly two weeks away, and no matter what controversies and court room decisions dominate the headlines, we enter our happy place once the play on the field begins. One controversy that will no longer be a part of our footballing existence is the Bowl Championship Series, being put put to pasture for good after Florida State knocked off Auburn in Pasadena last January. In steps the College Football Playoff, where a 13-member panel will rank their best teams each week starting in October, with the top four teams being part of the playoff. Sadly, there’s a whole lot more to it than just averaging out each pollster’s rankings and taking the top four and including them in the playoff, as outlined when the playoff selection committee announced its official policy earlier today. So before we go into our rankings, the A Lot of Sports Talk’s 2014 Preseason College Football Top 25, here are a couple of likes – as well as a couple of gripes – we have going into the 2014 season as it pertains to the supposed “new era” of amateur football. Like: There’s a playoff!! Some type of playoff! As much as the “right” championship game matchup always seemed to work itself out during the BCS era, the time for a playoff was way overdue. We can debate about the number of teams that should be in the playoff at a later time. Gripe: That time is now. In my mind, there are not enough teams. Period. Eight teams would be nice, but 16 teams, including winners of each conference plus at-large teams, would be the perfect solution. Alas, perfect solutions ≠ the usual NCAA way of thinking. Just like with the new postseason format, each team in our Top 25 has things that we like…and a few things to gripe about also. Once again, we were privileged to gather an esteemed group of broadcasters, reporters and fans – all with great credentials – to combine their own polls (six polls were used) to create our amalgamation, including: T.J. Basalla (super fan, marketing professional, WJPZ Alumni Association President), Pavan Sandhu Eckhart (Texas A&M graduate, Sales Rep at Ferring Pharmaceuticals in Dallas), Basil Mitchell (former TCU and Green Bay Packers RB), Sandy Weintraub (super fan, Director of Student Conduct and Community Standards at the University of Oregon), Adesina Koiki (Football Writers Association of America member/voter, A Lot Of Sports Talk editor-in-chief) and an anonymous staff member at a Division I-FBS school. Here is ALOST‘s 2014 Preseason College Football Top 25. If you have any comments and/or complaints, write them below on the Facebook window or email us at feedback@alotofsportstalk.com. We’d love to hear from you. Likes: They’re the defending national champions. They have last year’s Heisman Trophy winner in quarterback Jameis Winston. The talent level is out of this world. What’s not to like about the Seminoles? Yes, so many factors have to go right to repeat as champions in any sport, but FSU has everything in place after last season’s run to the title, including shedding the label of being a disappointment amidst high preseason expectations. Gripes: At this time last season, barely anyone outside of Tallahassee was talking national championship. That, obviously, has changed, and that intangible usually is a heavy weight atop the reigning king’s crown. Oh, and then there’s playing in Raleigh this year. Huh??? North Carolina State has beaten FSU the last two times the Noles have visited the Tar Heel State capital, beating #16 FSU in 2010 and a third-ranked Seminoles team in 2012. Hey, stranger things have happened! Likes: Motivation + Nick Saban = watch out!! The last time Alabama lost two games in a row (the 2008 SEC Championship Game, 2009 Sugar Bowl), they went out and won the national championship the next season. Losing the Iron Bowl and being defeated by Oklahoma in the Sugar Bowl only adds fuel to this uber-talented team, led by running back T.J. Yeldon and wide receiver Amari Cooper, arguably the best wideout in the game. Jacob Coker, who was neck-and-neck with Jameis Winston last summer for the starting QB at FSU, now takes over the helm on offense in Tuscaloosa after transferring. Gripes: Sooner or later, all of the talent that has come through Tuscaloosa and subsequently left for the NFL has to catch up . In a way, it did last season, especially on the defense. In 2012, the Crimson Tide recorded 18 interceptions and 35 sacks, but those numbers dropped to 11 INTs and 22 sacks in 2013, and only five starters return from that unit. Coker, until he proves himself in game action, still has to be considered a question mark, though most believe that won’t be for long. Likes: The second quarterback Marcus Mariota announced he was coming back to Eugene for his junior season, Oregon immediately became a national championship contender for 2014. Oh, and when eight starters from a team that averaged 45 points and 565 yards per game return on offense, that usually is a good sign. 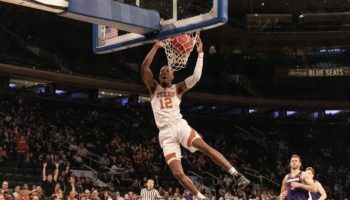 After a myriad of close calls in terms of playing for and/or winning the national title, if it’s not this year for the Ducks, then when will a national title happen? Gripes: The type of team that has given the Ducks the most trouble the past few years has been a run-oriented team that can neutralize Oregon’s speed and is able to be very physical on both sides of the ball. Their kryptonite usually is Stanford, which has beaten the Ducks in three of the past five years, including the last two. 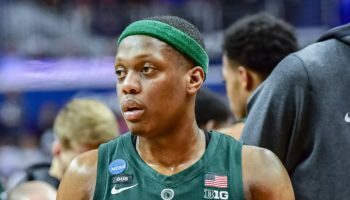 Not only will Oregon have to face that annual physical challenge from the Cardinal (Nov. 1), they have to play another top-tier run-oriented, physical team, Michigan State, in the second game of the season on Sept. 6. Likes: No team may have gone into 2014 with more momentum on its side than the Oklahoma Sooners after its convincing win over Alabama in the Sugar Bowl. Quarterback Trevor Knight went from uncertainty to 2014 Heisman Trophy candidate in the span of 60 minutes against the Tide, and the defense returns nine starters from last season. Bob Stoops has averaged 10.7 wins per season since he’s been the head coach in Norman. I think that’s good, right? Gripes: Yes, Trevor Knight became a sensation after the Alabama game, but remember that before the Sugar Bowl, he had started only four games in 2013 and was, to put it nicely, unspectacular. 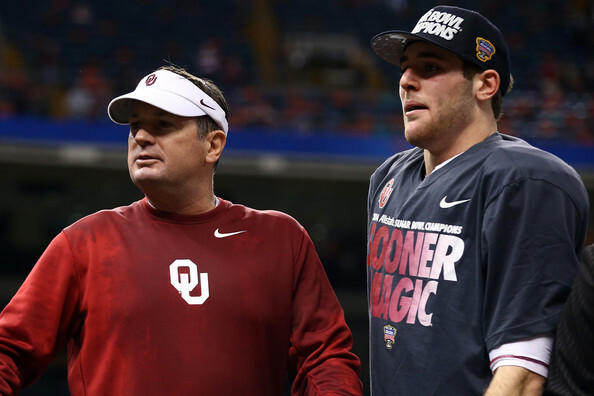 If that Trevor Knight shows up in a few games this season, the Sooners national title hopes will go up in smoke. Likes: It’s easy to forget amidst the record-setting season Sparty had last year that Michigan State was a couple of dubious (and by dubious, I mean incorrect) pass interference calls against them in South Bend away from playing in the national championship game in Pasadena – though they did end their season with a win in Pasadena. Michigan State’s offense, which many skeptics questioned for most of last season, is now a strength, especially with the return of junior QB Connor Cook and 1,000-yard rusher Jeremy Langford. Keeping defensive coordinator Pat Narduzzi in East Lansing, after he flirted with the UConn head coaching job, might have been their biggest recruiting coup. Gripes: Michigan State’s biggest strength last year was its defense, ranking second in the FBS in total defense (252.2) and third in scoring defense (13.2). Only five starters return from that unit this season. The Spartans also have a huge early-season test in Eugene against the Ducks on Sept. 6, and history has shown that high-profile teams from the East usually don’t have much success playing Pac-10/Pac-12 teams on the road. 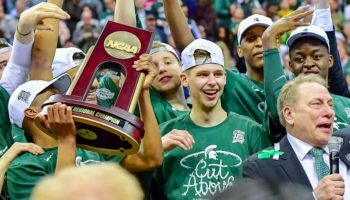 Ohio State, the team MSU beat in the Big Ten title game, now is in the same division as them (East Division, no more Leaders and Legends), and they play each other on Nov. 8 in East Lansing. Likes: The season of kismet almost ended with the crystal ball in 2013 for the Auburn Tigers, losing in the title game to Florida State. Over 50 lettermen return for Auburn, and quarterback Nick Marshall is on everyone’s Heisman short list for his dual threat ability. Under head coach Gus Malzahn, the Tigers more than doubled their scoring output from 2012 and averaged almost 200 yards more per game than in 2012. Those numbers look like they’re going to stay at or near what they produced last season. Gripes: Surely, all the magic that happened last season can’t duplicate itself in 2014, can it? Auburn has a lot of talent back, but three of their most talented players from last season became high draft picks in the NFL: offensive tackle Greg Robinson and defensive end Dee Ford were first-rounders while running back Tre Mason was a third-round selection. How much has Marshall improved as a passer? More teams will probably try dare Marshall to beat them with his arm more than he needed to do last season. Likes: If Jameis Winston wasn’t around, the Heisman Trophy favorite going into this year may very well be Buckeye quarterback Braxton Miller, the back-to-back Big Ten Offensive Player of the Year. Probably the Buckeyes’ biggest asset is their coach, Urban Meyer, who has turned guiding squads to 10-win seasons into an old hat. Compared to teams of the past, Ohio State’s defense was average in 2013, and the seven returning starters on the unit are chomping at the bit to make amends. Gripes: The Buckeyes’ schedule is sneaky tough, and it’s possible their sneakiest tough game is their opener, in Baltimore against a highly-regarded Navy team. As evidenced by their escape against the Middies in the 2009 season opener (31-27), playing a triple option team to start the season goes against the grain of all of your offseason planning. Road games against Maryland, Michigan State and Minnesota, along with a home game vs. Virginia Tech, is also on the schedule. Miller is back, but running back/force of nature Carlos Hyde is not, so a running back has to emerge from the remaining pack quickly. 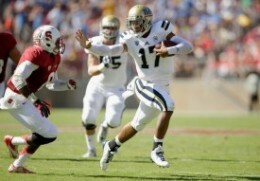 Likes: In 2012, Brett Hundley’s first play from scrimmage as a college quarterback was a 72-yard touchdown run. Not only has it not been all downhill since then, but Hundley and the Bruins might have their best team in Jim Mora’s third year in charge, with 17 returning starters from last year’s 11-win campaign. And unlike last season, when UCLA had to play Stanford and Oregon on the road in back-to-back weeks (lost both games), they get both the Ducks and Cardinal at the Rose Bowl this time around, along with USC. Gripes: UCLA returns eight starters on defense, but one of the departures from that unit was first-team All-America linebacker Anthony Barr, a first-round draft pick of the Minnesota Vikings. Almost a third of the team’s sack total (32) in 2013 was recorded by Barr (10). Although most of UCLA’s tough games are at home, they do have to play at Arizona State (Sept. 25), arguably the toughest road stop in the Pac-12 not in Eugene, and also play at Washington (Nov. 8). Likes: One of these years, South Carolina is finally going to win the SEC East, and this year is as good as any for the Ol’ Ball Coach, Steve Spurrier. Three-year starting quarterback Connor Shaw is gone, but projected starter Dylan Thompson has had plenty of experience under center the past couple of seasons replacing an injured Shaw. Running back Mike Davis is back after being a second-team All-SEC selection last season. There’s no Jadeveon Clowney on the defense, but six starters are back from a defense that allowed only 20.3 points per game in 2013. Gripes: Thompson is experienced at quarterback, but Shaw just had that “it” factor that will be hard to replace. South Carolina does open up with three home games, but all are games where they could struggle: Texas A&M, East Carolina, Georgia. The Gamecocks have won 11 games in each of the last three seasons, but no major bowl appearances to show for it. With the strength of the SEC, that trend could easily continue in 2014. Likes: Consistency, thy name is Stanford. The back-to-back Pac-12 champions ended the BCS era by making four consecutive BCS games, something which would get more press if Palo Alto was located in SEC country. Kevin Hogan is back at quarterback, and the leadership and quiet confidence – and hidden fire – shown by head coach David Shaw is reflected by the players in his program. Gripes: Holy schedule, Batman!! The Cardinal could end up with travel sickness by the end of the year, as their road games this season include trips to Washington, Notre Dame, Arizona State, Oregon and UCLA. Even though the Cardinal have had a 1,000-yard rusher in six straight seasons, running back might be the team’s biggest question mark going into the year. Not good for a team that prides itself in mauling opponents on the ground until they cry uncle. Likes: By the time I finish typing this sentence, Baylor’s offense will have scored two touchdowns. Bryce Petty, last season’s Big 12 Player of the Year, decided to hold off on the NFL and return to Waco to steer Art Briles’ super-high octane offense. Lache Seastrunk is gone in the backfield, but all that does is make room for freshman All-America running back Shock Linwood. Oh, and it’s a chance to say the name Shock Linwood many more times this season. What a name! Gripes: Baylor’s defense under Art Briles has never been one to write home to mother about, and this year’s unit only returns four starters. The schedule isn’t overly tough, but they do play at Texas and at Oklahoma. Oh, and they also play Oklahoma State at home (Nov. 22), which wouldn’t necessarily be a bad thing until you consider that the Bears are only 2-16 in their last 18 games against the Pokes. No matter how good you are, some teams just have your number. Likes: We finally get to see what No. 1 overall high school recruit Leonard Fournette is all about, as he’ll suit up and should be the main man carrying the rock at running back in Baton Rouge. If he’s anything like what he showed in high school, just sit back and enjoy. There’s also talent under center, although there’s a lack of experience. Anthony Jennings, who led LSU to two wins after Zach Metterberger tore his ACL late in the year, is battling Brandon Harris, who had an amazing spring game, for the job. Gripes: Last year, LSU became the first team in SEC history to have a 3,000-yard passer, two 1,000-yard receivers and a 1,000-yard rusher. None of those players are back this year, so replacing all of that production will be a chore. And whoever wins the quarterback battle has to establish himself as the unquestioned No. 1 quickly, or a quarterback controversy may loom over Baton Rouge for a good chunk of the season. Likes: With Maryland and Rutgers entering the Big Ten, the league decided to rejigger the conference alignment, and Wisconsin turned out, on paper, to be a big winner, as the Badgers no longer are in the same division as Ohio State. Also, they have Melvin Gordon back, arguably the nation’s best runner. All he did was run for 1,609 yards and 14 TD last season. Gripes: Wisconsin was seventh in the nation in total defense last season (305.1) but only three starters return from 2013. The schedule overall isn’t tough, but their first game of the season against LSU in Houston is a doozy. Likes: After an injury-plagued 2013, Todd Gurley, a legitimate Heisman Trophy candidate to begin last season, is back in the backfield. He’ll ease the pressure off quarterback Hutson Mason, although he’s very comfortable in Athens, going into his first year as a starter while being a fifth-year senior. By the time the end of last season rolled around, Georgia was almost playing exclusively with second-stringers at the skill positions on offense, so the biggest plus going into this season is their health. If they remain healthy all year, they, along with South Carolina, will battle neck-and-neck for the SEC East crown. Gripes: Aaron Murray defined the football program the past four seasons, and now the signal caller has taken his talents to the Kansas City Chiefs. Like last season, Georgia starts off the year facing Clemson and South Carolina, this time with the Tigers in Athens and the Gamecocks on the road in Columbia. Lose to South Carolina on Sept. 13 and they could be out of the SEC East Division race before it begins in earnest. Likes: The Trojans may field its most talent roster since the Reggie Bush sanctions crippled the program. After being unconvincing to begin 2013, QB Cody Kessler finished the year well, and he was helped by running back Buck Allen, who rushed for at least 120 yards in the four of the last six games. USC’s defensive line (led by tackle Leonard Williams) and secondary (led by Su’a Cravens) are two of the best units in the country. Gripes: In the past four years, USC has alternated 10-win seasons and non 10-win seasons. Last year, USC was 10-4. Uh oh. 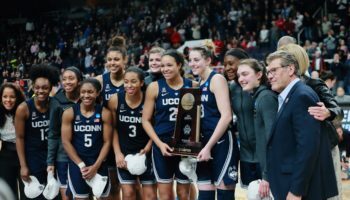 Depth will still be an issue until the program is allowed its full allotment of scholarships in 2015, so, more than any other team in this poll, a couple of injuries could really dampen this team’s hopes at a title run. Likes: The Fighting Irish welcome back Everett Golson at quarterback after his season-long academic suspension, and the last time he was at the helm of the Irish offense, he helped lead them all the way to the national championship game. Along with his passing skills, Notre Dame missed his threat as a runner. In their national title game run in 2012, the Fighting Irish averaged 189 yards per game on the ground as a team, but that sank to 151 yards per last season. 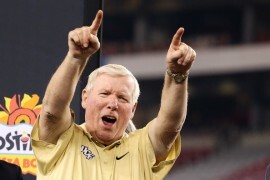 Gripes: Notre Dame’s agreement to play at least five ACC schools per season when the school joined the conference for all sports except football and ice hockey may come back to bite them this season on the gridiron. The ACC teams they play in 2014 are…Syracuse (East Rutherford, NJ), North Carolina (home), Florida State (away) and Louisville (home). Along with playing Michigan, Stanford, Arizona State, Navy and USC, a repeat of last year’s eight-win regular season would actually be an accomplishment. Anything more, and coach Brian Kelly should be up for coach of the year recognition. Likes: Not too many teams in the SEC can match the overall talent level in Oxford, and that’s saying something given the league that they’re in. They have experience under center with senior Bo Wallace, a stud pass catcher in sophomore Laquon Treadwell and return their top five tacklers from 2013. Oh, and Georgia, South Carolina and Florida are not on their schedule this season. Gripes: They still play in the excruciatingly tough SEC West, and, as much as Ole Miss has a shot at breaking through, they still have to get past Alabama, Auburn and LSU to take that next step. It will be far from easy. Opening the season in Atlanta vs. Boise State should be a win, but if the Broncos pull off some more early-season magic, like they have in many seasons past, can the Rebels recover from an early ego bruise to remain relevant in the SEC? Likes: Amidst the talk of when and where Clemson will pull off a “Clemson,” the Tigers have won at least 10 games in each of the last three seasons, including capping off a 11-win campaign last season with a win over Ohio State in the Orange Bowl. Vic Beasley, who had 13 sacks last year, turned down the NFL to come back for his senior season, and that in turn made an already good Clemson defensive line into one of the country’s best. Gripes: The Tigers will have to build on the momentum of the past three seasons without the starting quarterback in each of those seasons, Tajh Boyd. Oh, and wide Sammy Watkins, the No. 4 pick in this year’s NFL Draft, is also gone. Before the calendar officially turns to fall, Clemson has to play games in Athens (Georgia) and Tallahassee (Florida State), so a 1-2 start easily could await them if they’re not sharp out of the gate. Likes: There’s no sneaking up on the Pac-12 this time around, but beating three ranked teams in 2013 is more than cause for optimism in the desert. Returning signal caller Taylor Kelly was a second-team All-Pac-12 selection last year in a conference loaded with fine quarterbacks. This season, the Sun Devils draw UCLA, Stanford and Notre Dame all at home, where ASU averaged 49.1 points per game in seven regular-season home games last season (7-0). Gripes: During Sparky’s seven-game winning streak to end the regular season, its defense allowed 24 points or fewer in six of those seven contests. Well, it would be near miraculous to expect that again in 2014, as ASU returns only two starters on defense. It may have to win shootout after shootout to match its 10-win total from 2013, and conventional wisdom says you’re going to lose a shootout or two if you engage in them almost every single week. Likes: The momentum of the Cinderella season for the Tigers in 2013 should carry over in 2014. Maty Mauk filled in admirably at quarterback when starter James Franklin missed time due to injury, and he’s now the full-time starter. 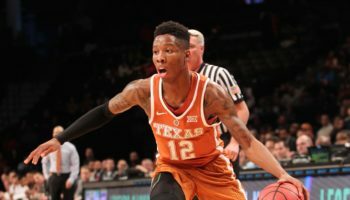 Winning last season’s SEC Eastern Division crown gives the team an edge and confidence it so desperately needed after moving from the Big 12. They can play with the big boys in college football, and they proved it. Gripes: One of Missouri’s big receiver targets, Dorial Green-Beckham, was dismissed from the team for repeated off-the-field issues. Many of the players that helped Missouri earn 41 sacks as a team defensively are gone as well. Worse yet, the Tigers won’t sneak up on teams like they did last season. Likes: Well, it had to happen sometime. Johnny Football was going to be no longer in College Station. But A&M was able to hold onto head coach Kevin Sumlin, and he’s building a program that should be able to withstand personnel losses and just keep on winning. Whoever the quarterback is – sophomore Kenny Hill or freshman Kyle Allen – will benefit from having depth in the backfield, with Oregon transfer running back Tra Carson and Oklahoma transfer Brandon Williams. Gripes: Life without Johnny Manziel…and Mike Evans. Is there more that needs to be said? Well, if there is, then I’ll tell you that A&M’s porous defense in 2013 isn’t going to get bailed out on a weekly basis by the exploits of Manziel. When nine starters return from a defense that allowed 32.3 points and 476 yards per game to their opponents, is that really a good thing? Likes: The old man can still coach! Bill Snyder, 74 years young, has led the Wildcats to 29 wins over the last three seasons, and this season’s squad is led by quarterback Jake Waters, third team All-Big 12 in 2013. Waters is a better passer than 2012 Heisman finalist Collin Klein, and there’s a legitimate home run threat on the roster with receiver/returner Tyler Lockett. KSU usually excels in special teams, and Lockett’s return skills will continue that tradition in Manhattan. Gripes: Kansas State, other than its longtime head coach, is also known for, unfortunately, consistently putting together some of the weakest non-conference slates over the past two-plus decades. That has to change with the College Football Playoff starting, and KSU will play Auburn on a Thursday night in September. Despite the step up in class, it’s possible that the 2013 national runner-up could have a field day. K-State also plays the best two teams in the Big 12 (Oklahoma, Baylor) on the road. Likes: UCF’s apogee as an athletic program came in the Fiesta Bowl upset over Baylor last January, but how many people realize that the Knights have won 10-plus games in three of the past four years? Furthermore, UCF’s defense has been one of the nation’s best in that span: the unit has finished in the top 30 in total D in each of those 10-win seasons, and finished in the top 15 in 2010 and 2011. Nine starters return from last year’s defense (29th in NCAA), so don’t be surprised if they’re just as stingy to opponents in 2014. Gripes: It’s a good thing their defense projects to be real good, because the Knights lost quarterback Blake Bortles to the NFL, arguably UCF’s best ever quarterback not named Daunte Culpepper. Storm Johnson, who ran for 1,139 yards and 14 TD last year, also has departed. The offense has talent still, but redshirt freshman quarterback Pete DiNovo, named the starting quarterback just yesterday, had better do his best Bortles/Culpepper impersonation…and fast. Likes: Even with all of the struggles the Gators had on offense in a disastrous 4-8 campaign, the defense more than held its own, ranking in the top 10 in the FBS in total defense. What also would help the bounce back effort is a healthy Jeff Driskel, who broke his leg early in the season against Tennessee. His dual threat ability is what the Gators sorely missed last season at quarterback. Also, the Gators can’t be bitten repeatedly by the injury bug like the way they were last year, right? Gripes: The offense, until they prove it on the field, will remain a question mark. The playmakers on offense, especially on the outside with the wide receivers, just isn’t at the same level as it was in the past, which is odd to say about a Florida team. After a few years off of their regular-season schedule, Florida has to play Alabama, in Tuscaloosa, on Sept. 20. Likes: Welcome to the Emerald City, Chris Petersen! The former Boise State head coach finally found a place that could uproot him from the palatial football estate he built in Boise, and with him comes his insanely gaudy 92-12 career record. No disrespect to the players he recruited to Boise, but imagine what could unfold when you marry his coaching acumen with the level of athletic talent at his disposal with the Huskies. Gripes: For as much as the program has improved its talent level while former head coach Steve Sarkisian, a master recruiter, was coach, this is a school that had three consecutive underwhelming 7-6 seasons before last year’s nine-win breakthrough. Oh, and the Huskies lose their three-year starting quarterback (Keith Price) and the school’s third all-time leading rusher (Bishop Sankey), who ran for 1,870 yards last season.